There are two schools of thought regarding how much to plan an upcoming trip of any magnitude. One school says ‘plan to the nth degree so that virtually nothing is left to chance’. Now, usually in my everyday life, I am in that camp. I plan my day in 15min blocks and am never, ever late. Rules govern my life and I am called ‘Sheldon’ at home by Damian. I have an Obsessive Compulsive Disorder known as Line, Symmetry and Order where everything has to line up etc. However, strangely enough, when I go on holiday, I prefer to plan as little as possible and therefore, we would usually fall into the 2nd category – ‘plan virtually nothing and see what happens’. However, I believe that when travelling in Australia, particularly the outback, planning should take precedence, especially when on a limited time frame. 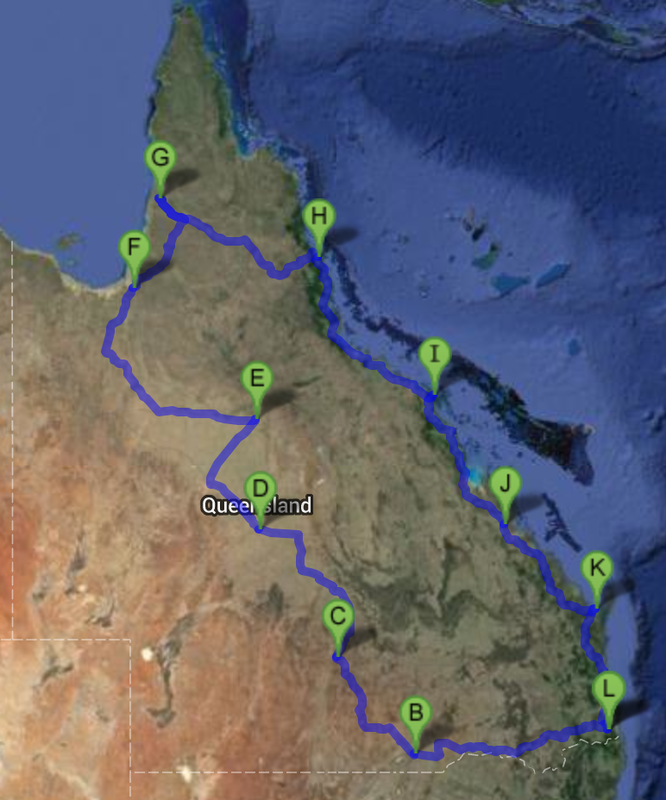 This trip we have planned in early December, will take us from our home town in the Gold Coast Hinterland through Dirranbandi (my home town) then up to Charleville. From Charleville we will head to Longreach (Stockman’s Hall of Fame and Qantas Founders Museum). From Longreach, we are heading to Kowanyama where we will stay for a few days and hopefully take some images of the elders and the children on my Bronica Medium Format 6×6″ film camera as part of my independent folio for 3rd year of University. From there, we head to Cairns to pick up Damian’s youngest son and we will head back down the coast and home. We have planned 3 weeks for this trip and on about 4 days we have trips in excess of 600km but the most is 700km in one day. The other days, the trips are roughly 300km/day. In total, we will travel over 5,400km and driving time is estimated to be 75hrs. Of course, this trip may vary if the ‘wet’ season is early, in which case we will change direction and go to plan B (yet to be decided). I have included a map of our trip below and plan on uploading images of the trip once we head off – but that’s still over 2 months away. So, until this particular trip gets underway, I’ll be posting more on the build of the Aussie Swag (here) and on modifications made to the Ute.